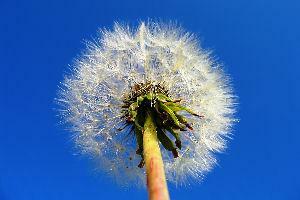 A homemade weed killer sounds like an inexpensive way to get rid of unsightly crabgrass, dandelions and other weeds. But before you run into the kitchen and play mad scientist concocting up a homemade weed killer, read the instructions thoroughly for any homemade recipe. Use the same care and caution as you would if applying commercial pesticide, and seek help from a master gardener, such as someone at the local Cooperative Extension office, if you're not sure what to do. There are essentially two types of homemade weed killers: mixes made from a variety of household ingredients and simple, single ingredient solutions. By far the most recommended weed killer you can make at home is a mixture of vinegar and water. Common household vinegar is made from fermented fruit juice, wine or rice mixtures. The fermenting process creates a compound called acetic acid. Acetic acid acts as a desiccant, or a substance that removes water. When sprayed on the leaves of a weed, it causes the leaves to shrivel up and die. This deprives the weed of food since a plant's food is manufactured through photosynthesis in the leaves. Measure approximately one tablespoon of vinegar per one cup of water. Place into the spray bottle, shake, and spray directly onto the leaves of weeds. Use it on a sunny day for better results. To make this spray even more effective, add liquid dish washing detergent. Do not use liquid dish washing machine soap or hand soap. Soap removes the outer cover on leaves, making them more vulnerable to the vinegar and water solution. Typical recipes for weed killers call for one tablespoon of soap per gallon of water, so adjust it accordingly if you're using it directly in the spray bottle and add only a tiny drop. Another additive that helps make weed killers more effective is citrus oil, such as lemon oil. These products may be found in health food stores and sold as aromatherapy products. Citrus oils work similarly to vinegar, drawing moisture from the leaves of the plants. Two remedies are often cited as weed killers. These remedies should only be used to kill weeds growing between cracks in sidewalks or in similar situations. If used directly in the garden, you may damage the soil or surrounding plants. Boiling water: Boiling water is an old-fashioned weed killer. It scalds the weeds. Use care and caution when pouring boiling water over weeds. Salt: Like vinegar and citrus oils, salt is a desiccant. While you can use salt on weeds, it's not recommended simply because if you use too much, you can damage the soil. Then nothing will grow there. While these remedies are pet safe, you may also want to use other natural methods to remove or prevent weeds. The safest method is to pull them up by hand. While it takes work, it's the best method for vegetable and flower beds. You can also use landscape fabric places around plants to prevent weeds from sprouting. Landscape fabric is a useful tool near foundation plantings, for example. Place it around bushes and shrubs, pin it down using the big U-shaped metal pins sold at the garden center, and cover with your favorite mulch. The fabric prevents weeds from germinating or starves them of light, but allows water to soak through to the roots of the shrubs. Weeds are the gardener's enemy. Keep in mind that any treatment you use in the garden, whether homemade, organic or conventional, can also harm plants you want to keep. Use care and caution whenever using weed killers. When in doubt, pull those pesky weeds up by hand. It's better to be safe than sorry!